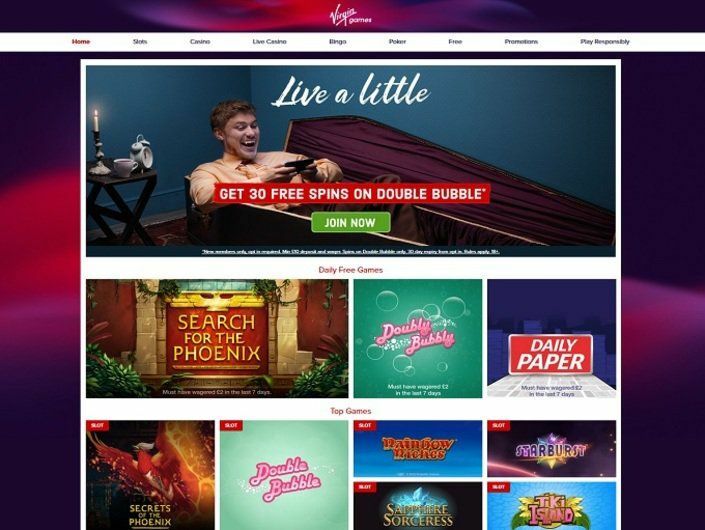 If you are a new member at Virgin Games, you will attain eligibility for the receipt of 30 Free Spins (a coin size of 1p on the maximum number of paylines) for the game titled as Double Bubble upon adhering to the necessary criteria. Sign up as a player which includes accepting the terms and conditions of the casino. Make a deposit of not less than £10 and wager it on any game of your choice. Players have one month (30 days) from the date they deposit real funds to successfully meet the wagering conditions and utilize the free spins (if any) until their expiration. Furthermore, no bonus code is needed. If you do not wish to participate in this offer upon making a deposit, then it will not be mandatory for you to accept the bonus. You can only be a one-time participant in this welcome bonus. Therefore, if it is detected that a member has signed up multiple accounts for the purposes of claiming the promotion repeatedly, then the casino retains the right to terminate these accounts. Since 2004, Virgin Games has been operating in the online gambling market. It is a reputed name in the industry because of its experience and the great experience it offers to its customers. It is a part of Richard Branson’s conglomerate, and therefore, you can be certain of getting a high-quality experience on this platform and facing no scam. In this Virgin Games casino review, we will tell you all the advantages and disadvantages of playing at this online casino. It has its license from the United Kingdom Gambling Commission and the Government of Gibraltar. You will find games from many leading providers here, including NetEnt and IGT. A variety of different gambling options ensure that the players get an enjoyable time on this platform. 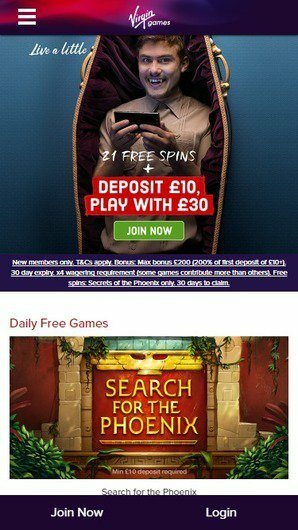 This gambling site only serves the players residing in the United Kingdom. This means if you are from the United States of America, Australia, Spain, Russia, China, or any other jurisdiction, you will not be able to access this website. It is currently owned by Gamesys which got its ownership in the year 2013.  Since then, this website has grown steadily with regular novel introductions to its portfolio. It is one of the most trustworthy platforms as well. This review will help you find out more about Virgin Games Casino desktop site. Our experts have prepared this review after checking the website as well as the players’ Virgin Games casino reviews. The software of every gambling platform is an important factor to consider. It helps you understand whether the website is worthy of your time and money or not. In this case, Virgin Games casino is a great platform. It uses software from many leading providers. They are WMS (Williams Interactive), Hasbro, IGT, Gamesys, High 5 Games, and NeEnt. These providers ensure that the gaming options are of exceptionally high-quality, and you don’t have to worry about technical issues. The presence of NetEnt and WMS ensures that you get to play all the latest and innovative gambling options as well. The website’s software is quite efficient. The site loads quickly, and you will not have to wait for any pop-ups as well. The developers have made sure that you don’t have to put effort into finding anything for a long time, including the terms and conditions. You don’t need to download anything or install any software in order to play the options available on this platform, and this is one more major advantage. It has the ‘Instant Play’ feature which lets you play the titles directly online. All of the necessary options are easily accessible. The visuals of the website itself are quite impressive as well. The selection of titles at a gambling site helps in determining if it will be boring or not. That is so because a large selection will keep you entertained for a long time. This website is a great option in this regard. It has many gambling options for the players to enjoy, and they keep adding new titles as well. This way, you will not have to worry about being limited to a few games after the Virgin Games sign up. You will always have something new to try. You get the facility to try the options for free. This enables you to get accustomed to the gaming mechanisms without spending any real money. 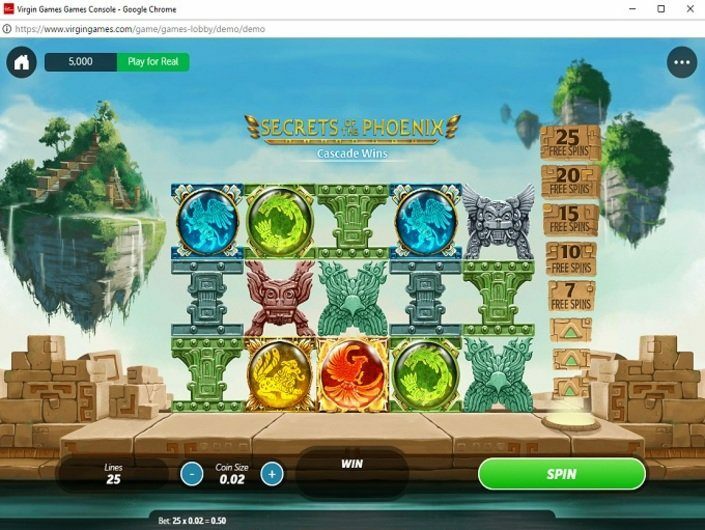 If you want to play for fun, you can play the titles for free; however, if you want to avail the bonuses or rewards, you will need to play them for real money. Video Slots: Like any other platform, video slots take up most of the portfolio. You will find many popular titles here including Zeus III, King of Slots, and Secrets of the Phoenix. You will find progressive jackpots here as well, such as Siberian Storm and Cleopatra. The graphics and sound effects of most of the slots are impressive. Different titles have different bonuses, so you will want to try as many as you can. The selection currently has over 50 video slots, and the good news is that they keep adding new titles. This means you can expect an increase in their collection of attractive titles. Table Games: The table games at any casino are important to consider. At Virgin Games, you will find many table options such as Blackjack, Roulette, and Baccarat. There are many variations of these titles available on this platform as well. Atlantic City Blackjack, Multiplayer Roulette, Blackjack Match, Roulette Lite, and many other versions are available here for you to try. Like in the video slots, the developers have kept the graphics and sound effects quite attractive here. The mechanics are also impressive, and that is why you will not have to worry about your gambling experience here. Video Poker and Other Options: Those who love video poker will find plenty of great titles such as Pai Gow Poker, 3 Card Poker, Joker Poker, Ultimate Video Poker, and Caribbean Stud. Apart from video poker, you get to play Keno, Craps, and Bingo on this site as well. In addition, you also have the opportunity to try many exclusive titles on this website. You will not find these games anywhere else because they are present only here. Live Casino: Online gambling is no longer limited to video gambling options and apps because you can now play at a real table without even leaving your living room. The Virgin Games live casino shows you a table with a dealer, and you are connected through a live stream. You get to place bets in real time with other players at the table as well. Live gambling here is quite amazing. Players get to try Casino Hold ’em, Roulette, Blackjack, and Baccarat. The quality of the stream is also amazing and doesn’t cause any difficulty to the player. Payment services help a new customer in adding funds to their online accounts as well as in making withdrawals from the same. You can easily add funds to your account on this platform as there are plenty of transaction methods available. For making deposits, you can use Neteller, Maestro, Visa Electron, PayPal, Skrill, Paysafecard, MasterCard, and Visa. 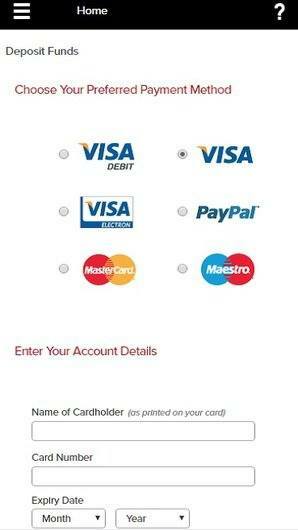 To withdraw funds from your casino account, you can use Wire Transfer, Skrill, Neteller, MasterCard, Visa, and PayPal. Therefore, making transactions on this platform is quite easy. 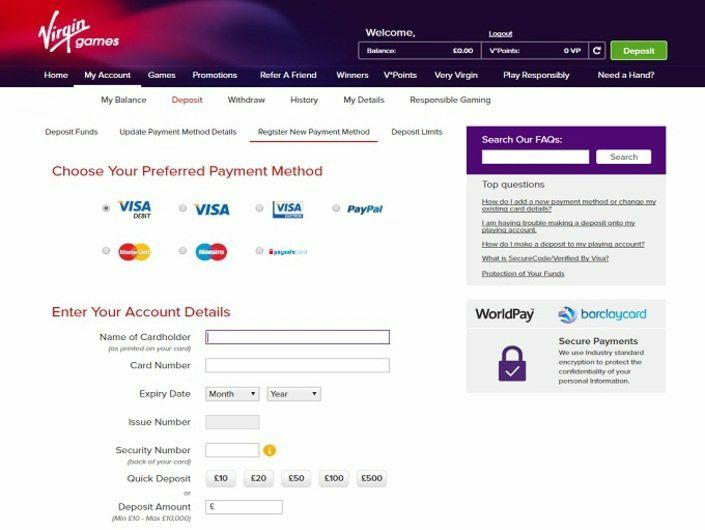 The best thing about Virgin Games casino website is that you don’t have to pay any fee for making deposits. The withdrawal limits vary from one payment option to another. You can withdraw 10 EUR from one method maximum whereas the other one provides a limit of 10,000 EUR. Deposits take no time to get processed, but the same cannot be said about withdrawals. The platform takes a processing time of maximum 48 hours. In terms of the processing time, e-wallets take the minimum amount of 24 hours. The wire transfers take the longest amount of time from 3 to 5 days. The currency options of this website are limited to Euro and British Pound Sterling. There are no other currencies present here. The bonus offers and promotions make this platform a more exciting choice. You will find yourself availing plenty of different deals. Welcome Bonus: You get a 200% match bonus with the upper limit of 100 EUR on this website after a Virgin Games Casino sign in. This is a great reward for new players as this amount lets you try plenty of the gaming options present here. The minimum deposit you need to make to claim this is 10 EUR. However, before you try to withdraw your winnings made with the bonus, you should meet the wagering requirements. You will need to wager 2x the bonus amount before you can make any withdrawals of this amount. Another thing to note is that only your Bingo wins count towards the wagering requirements. Regular Offers: The regular deals present here make it a much better gambling site than the other ones. This platform has plenty of different ways to reward the players. You can refer this casino to your friend and get 20 EUR as a bonus. If you purchase 1 Bingo ticket from 9 AM to 12 PM, you will get 2 Bingo tickets as a bonus. 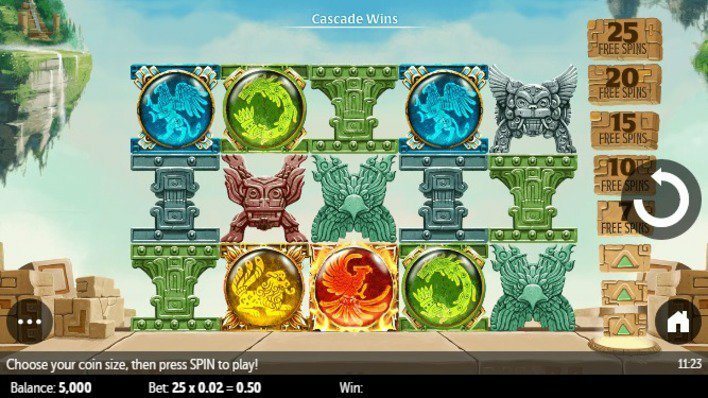 You can get a 10% cashback while playing the Zen Garden video slot. You can take part in their loyalty program, and if you are a high-roller, you may get some outstanding rewards for playing. 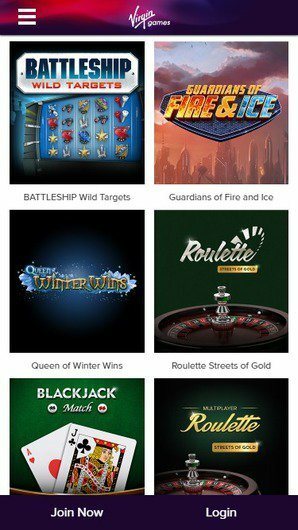 If you like to gamble on the go, then you will love the Virgin Games mobile casino. There is a Virgin Games app compatible with iPhone, iPad, and iPod Touch. Thus, you get a mobile site and an app to play your favourite game. They have many popular titles there such as Deal or No Deal and Double Bubble. Blackjack and Roulette are also available for the players to try, and these two offer great payout rates. As this casino only serves in the UK, it supports the English language exclusively. You will not find other language options on this platform. Checking the quality of the customer support is a must for any online punter. The responsibility of the support staff is to handle all of the players’ complaints and issues. Moreover, any kind of issue can arise at any time,and that is why it becomes necessary to see if the support staff is co-operative. Here, you don’t have to worry about the quality of customer service. They have a live chat facility available on the site to help you get in touch with them. They reply the fastest through this facility. Virgin Games Casino live chat at all times of the day, so you don’t have to put much effort into contacting them. Other contact options include the toll-free number and the email. However, you should note that the emails can take up to 5 days to get replies. If you have a simple query, you can use the ‘Frequently Asked Questions’ section of the website. Is Virgin Games Casino Safe? After entering the Virgin Games login, you will be using a 128-bit SSL encrypted platform. This is the most advanced security measure available for online platforms, and so you can be certain of having a safe gambling experience. Is Virgin Games Casino Legit? Yes, it is a completely legitimate platform. Virgin Games is regulated by the jurisdiction of Gibraltar as well as by the United Kingdom Gambling Commission. Both of them are esteemed organisations. Can I Self-Exclude Myself Here? This casino takes gambling problems seriously, so you can avail self-exclusion here without any difficulty. You can take the help of their support staff to do this as well. Does It Have a Live Chat? Yes, you can avail the Virgin Games casino live chat facility. It lets you get in touch with the customer support staff. You can contact them to resolve any issues. It remains open 24/7. What Is the Virgin Games Withdrawal Time? The withdrawal time differs from one method to another. The website takes around 24 hours to process withdrawals, and the fastest way to make withdrawals is through e-wallets. 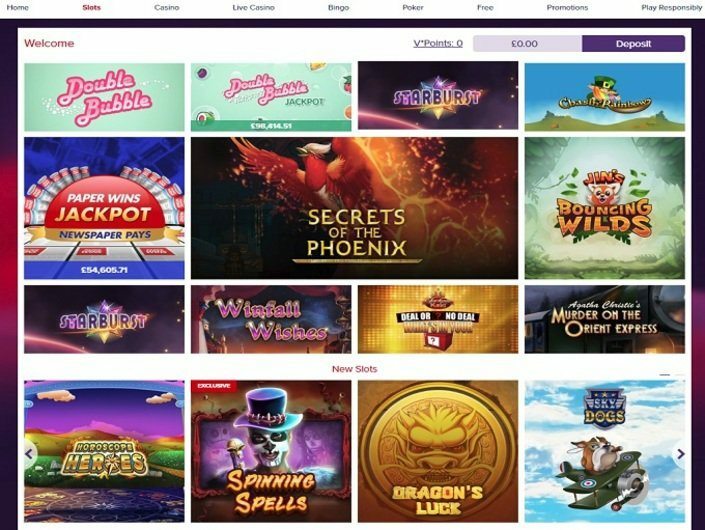 Due to its large collection of titles and plenty of bonuses for regular players, Virgin Games has been able to garner a great following of customers. The layout of the website is simple and ensures that new visitors don’t feel lost. The customer support is also friendly. You will definitely enjoy your time spent here.